It’s not a bad joke. 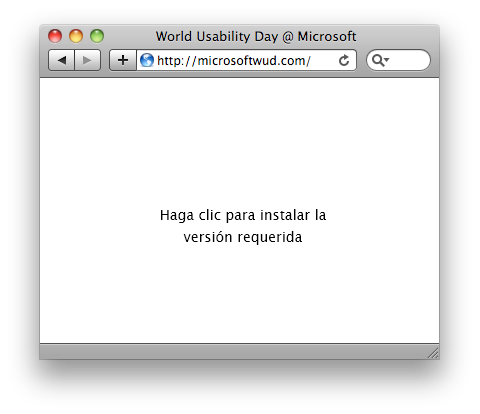 It’s a Microsoft’s World Usability Day website -claiming for a Silverlight installation- screenshot. Categorizado en: English, Experiencia de usuario / UX, Humor, Usabilidad.